Heart fans rejoice! 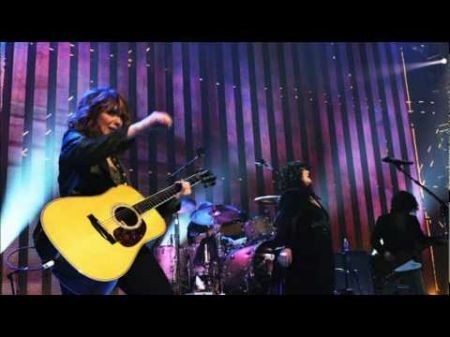 Estranged siblings and band co-founding members Ann Wilson and Nancy Wilson have buried the hatchet and announced a huge 39-city tour of North America, which will feature a star-studded assortment of special guests on select dates like Joan Jett & The Blackhearts, Sheryl Crow and Brandi Carlile.The Rock and Roll Hall of Famers dropped the news via a press release posted Feb. 11 at MSO. Dubbed "The Love Alive Tour" after the 1977 Little Queen single, the summer romp will mark the “Crazy on You” hitmakers' first time touring together since going on “temporary hiatus” due to personal differences at the close of their She Devils Tour back in 2016. The tour will keep the Wilson sisters and company busy from early July through mid-September. The trek will also feature Elle King and Lucie Silvas as opening acts on select dates. The Love Alive Tour kicks off July 9 in St. Louis at Hollywood Casino Amphitheatre. The Seattle rockers will hit numerous major cities along the way with stops in Toronto, Detroit, Denver and Las Vegas before Sept. 9 in Los Angeles at Hollywood Bowl. Select presales will begin Tuesday, Feb. 12 at 10:00 a.m. local time. Tickets for go on sale to the general public starting Friday, Feb. 15 at 10:00 a.m. local time. For more details, click here. See below for Heart's 2019 North American tour schedule. For all the latest details on Heart, click here.